Hello, my lovely friends! I can’t believe 2017 is already here.. Between school and travel, 2016 zipped by. There were also many rough things that happened over the last year, but they challenged me and helped me grow. Political issues made me want to rip my hair out, but they also helped me determine what my values are. My first semester of my senior year stressed me out so badly, but it helped prepare me to be a special needs teacher more than any previous semester. Let’s hope 2017 will be just as fulfilling! For today’s post, I want to outline some of my New Years resolutions, as well as post my usual monthly goals. Let’s dive in! I will be heading to Iceland in just a few days, so I know I will be able to travel at least a little bit in 2017. However, I would also like to visit Nova Scotia, and Scotland. I know three international trips in one year will be pretty expensive, but my resolution is to do whatever I can to save up and go! I will be graduating in the spring, and will need to look for a teaching job; but, when I am hired, I will not begin teaching until the fall.I would still need to lesson plan and set up my classroom, but I would still have a few weeks of free time over the summer. The time between graduating and starting my career is the only time I will have absolutely no obligations, until I retire. So, I want to make the most of the time I have now! Another resolution is to get through the rest of my schooling! In the Spring, I will be completing my senior internship at a local elementary school. I will lead the class, under the supervision of the classroom teacher. I will be there Monday through Friday, 7:00 a.m. to 4:00 p.m… and also do lesson plan and grading while at home. Not only is this internship unpaid, but I also had to pay a huge chunk of change to enroll. It is going to be tough, but I will make it! I want to look past the obstacles, and glean knowledge about teaching from every day that I spend in the classroom. Honestly, just showing up to Iceland would be an unforgettable experience. However, I want to go beyond that… Seek out lesser known sights, sample local cuisine (like that fermented sharks head I’ve been hearing about…), and connect with strangers. I also want to take LOADS of photos to share with you all! I will probably read several books that are not on this list during January, but I would definitely like to tackle the ones listed above. I have made several makeup purchases recently, and I want to get in the habit of reviewing new products that I try out. Too often, I try out products and don’t end up sharing my thoughts with you guys! 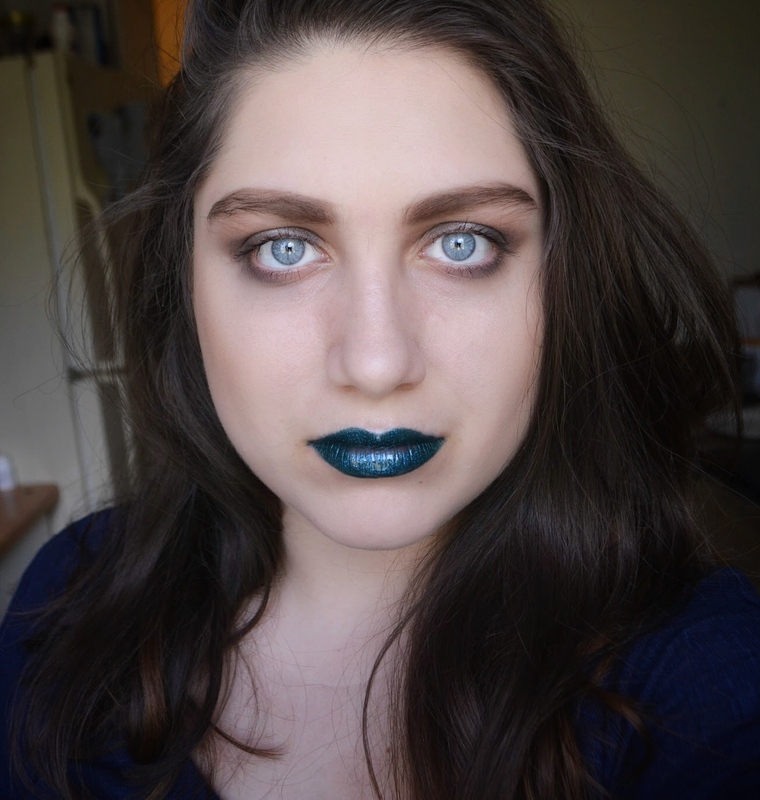 I really do love makeup, and I have fun writing about it… I just want to make a point of remembering to do so. Great thing that you are planning to travel more. When I reached 18 I went to the UK without anything, not even the language but I couldn’t pay for my education so I went there to work and learn the language, after that Ireland and then Italy and went back to UK for half a year again, now that I’m stablished in Spain I miss travelling so much. I hope you enjoy your trips, and that you can reach all your goals this year. PS: Please do share opinions and pictures of Iceland, will love to go there. That is amazing! I really hope I can stay abroad for an extended period of time someday, like you did. Even though you are established in Spain, do you still plan on doing short term travel in the future? What are some places you still want to see? Cool! I will look forward to them. Yes I’m planning some trips in the nearly future. I wish to go to Thailand and Edinburgh. I think I want to travel everywhere haha. Will need to save more money and compare prices, but I’m too excited to visit Thailand. Thank you! Traveling is amazing. Where are some of the places you have been? What great goals…Congratulations on getting a following so quickly. Enjoy your trip to Iceland…That’s one of the places I want to travel to! That sounds like a lot of fun 🙂 have a great time. Continuing to eat healthier, shedding a couple pounds and sticking to a blogging schedule. Hey! Can you give some tips on what you have planned for iceland and where you will be staying?? i’m tempted to book a last minute birthday trip there next week so i’m researching!! thanks! Sure! I am staying at an AirBNB right near the Hallgrimskirkja- so most the sights in Reykjavik are within walking distance. AirBNB is much more affordable than a hotel. 4 nights where I’m staying is $400, whereas 4 nights at a nearby hotel would have been twice the price. As for what I have planned: I booked some tours through the I Heart Reykjavik company; I will be doing a Southern Shores Excursion, a city tour, a whale watching cruise, a northern lights bus tour, and a trip to the Hot Golden Circle. I also made sure to leave plenty of time to just explore by myself, and to visit the Blue Lagoon. Just be aware that the days will be very short. Sunrise is at 11, and sunset is at 3. On the plus side, most people visit Iceland in the summer-so everything is cheap this time of year. I hope this helps, and have a lovely birthday!